The RapidSCAN CS-45 represents the latest advancement in active crop canopy sensing solutions. 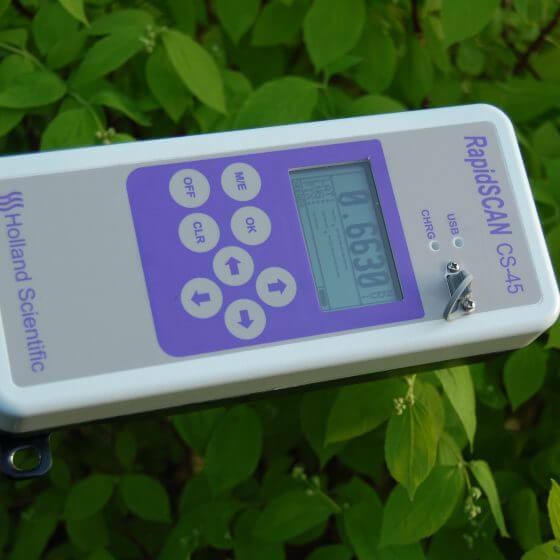 The RapidSCAN CS-45 is a completely self-contained active crop canopy sensor that integrates a data logger, graphical display, GPS, crop sensor and power source into one, small compact instrument. The sensor is unaffected by ambient illumination allowing it to take accurate biomass measurements day or night due to its internal polychromatic light source. 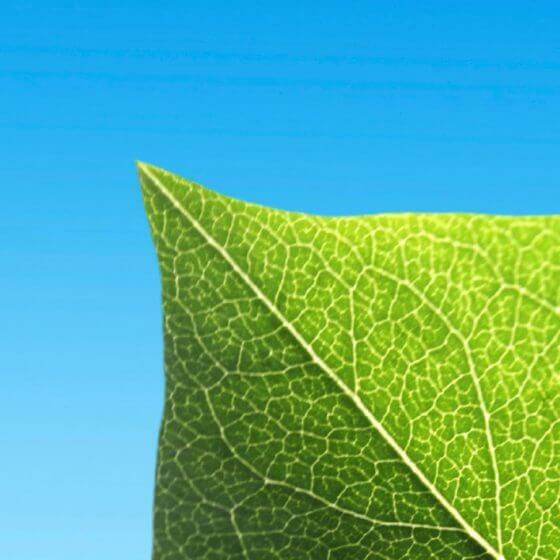 The sensor is capable of collecting data from vegetation at sensor-to-canopy distances ranging from 0.3 meters to over 3 meters. 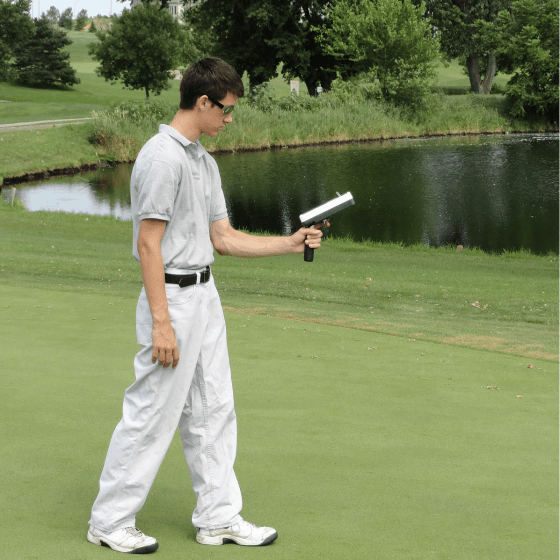 Information produced by the sensor includes NDVI/ NDRE vegetation indexes, latitude/longitude and sample statistics as well as basic reflectance information. The RapidSCAN CS-45 incorporates three optical measurement channels. 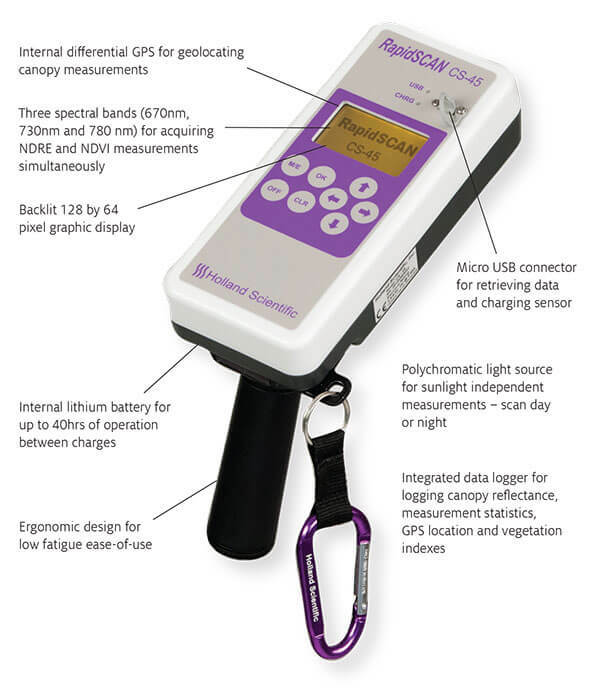 The sensor simultaneously measures crop/soil reflectance at 670 nm, 730 nm and 780 nm. 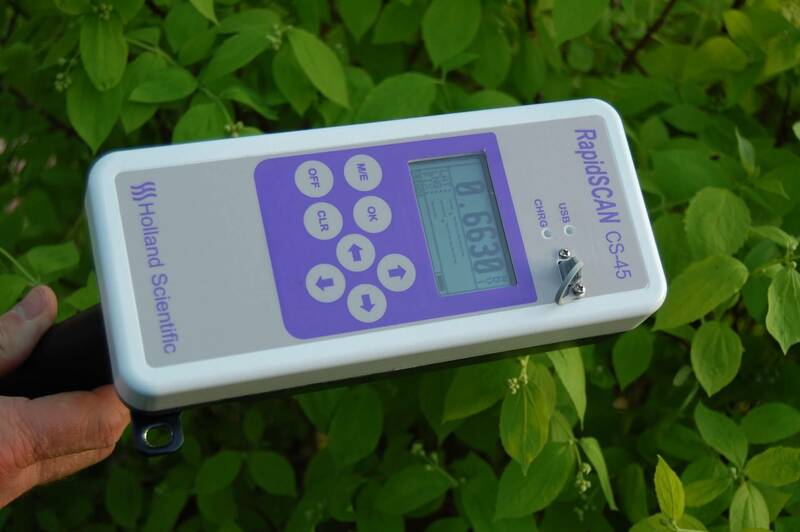 A unique feature of the RapidSCAN CS-45 sensor is its ability to make height independent spectral reflectance measurements. Holland Scientific refers to these reflectance measurements as Pseudo Solar Reflectance (PSR) measurements. As such, the spectral reflectance bands are scaled as percentages and will not vary with sensor height above a target. 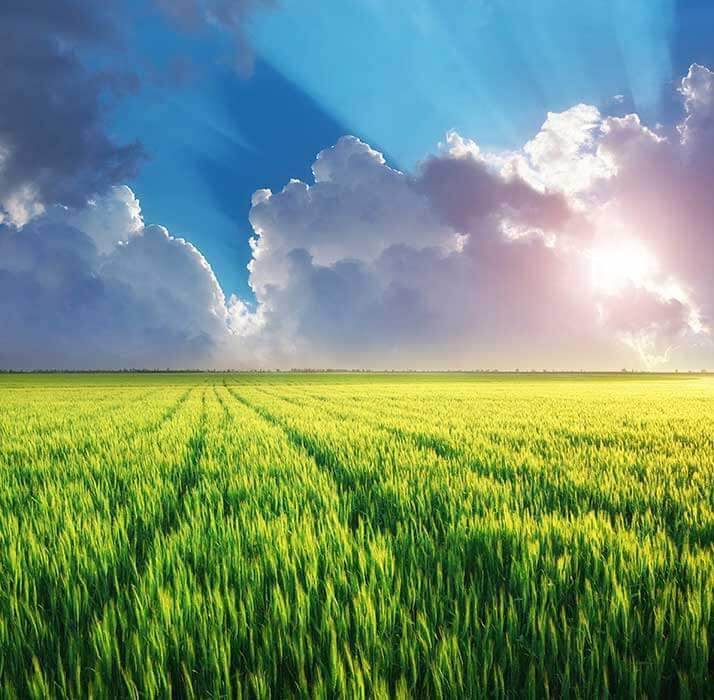 This opens the possibility of using literally dozens of vegetation indexes developed for aerial and satellite remote sensing applications that do not use ratio based calculations. Data is easily collected by simply pressing the RapdidSCAN’s trigger switch and then scanning a target plant. Scanned data is stored in the instrument’s 3 MB flash file for later transfer to a PC using the RapidTALK terminal software. 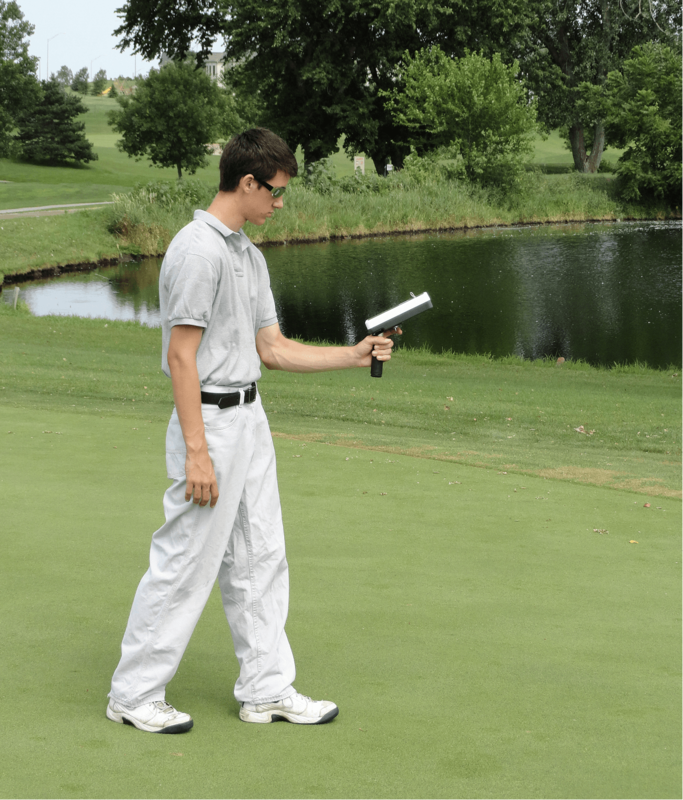 Data collected by the RapidSCAN can be analyzed in third party GIS or spreadsheet software. RapidSCAN CS-45 Starter Package. 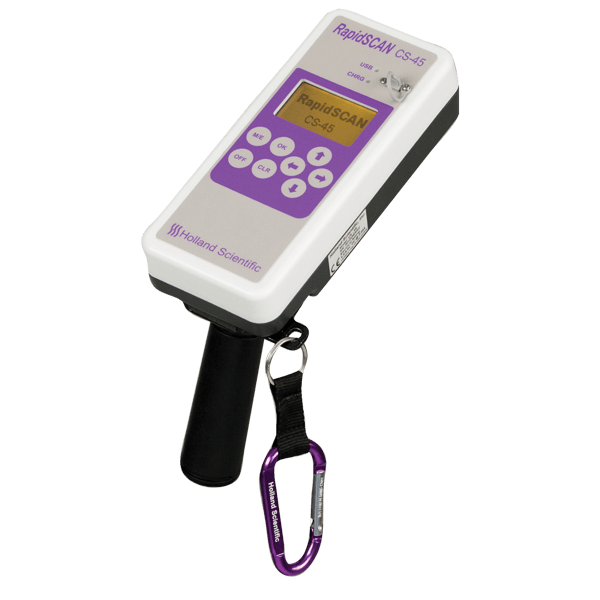 Package includes RapidSCAN CS-45 sensor, charger, USB cable, storage case and manual. RapidSCAN N-Rec Software. RapidSCAN operating system upgrade software that allows the user to make N fertilizer recommendations based the Holland-Schepers generalized N rate model. RapidTALK Terminal Software. Performs data transfer from sensor to PC, basic configuration and software upgrade maintenance. Compatible with Microsoft Windows XP, VISTA and Windows 7. Includes software CD and USB cable.